Our bodies were built with all the knowledge of how to function optimally; this is called innate intelligence. As we are exposed to different toxins in our lives whether it is through food, chemicals, pesticides, noise, injury, psychological or other, our bodies have to adjust and adapt to handle all of the stress it is under. So with this information, we can look at all of the various dis-ease in our society and begin to see how it may have been created, but more important, how it can be addressed and in some cases even reversed. As a Nutritional Therapy Practitioner (NTP), we focus on 5 main ‘pillars’ of nutrition. The first and some would say the most important it Digestion. Hippocrates said, “All disease begins in the gut” and there sits the basis of this article. When someone has heartburn, indigestion, or gastroesophageal reflux disease (GERD) they are often prescribed an antacid to relieve their symptoms. While it is true that they do find that it eases the discomfort they feel, unfortunately it does not help to find out WHY they have it in the first place. That’s where a Nutritional Therapist can help. Every BODY is different (referred to as bio-individual) and this information is intended to reach a wide audience so you should take precautions or seek the advice of your physician before stopping any prescriptions or trying something new. Most people do NOT have too much stomach acid… they have too little! WHAT??? Yep that’s right! The foods that we eat and the way we are eating (stressed, too fast) is taking a toll on our body’s ability to produce sufficient stomach acid. 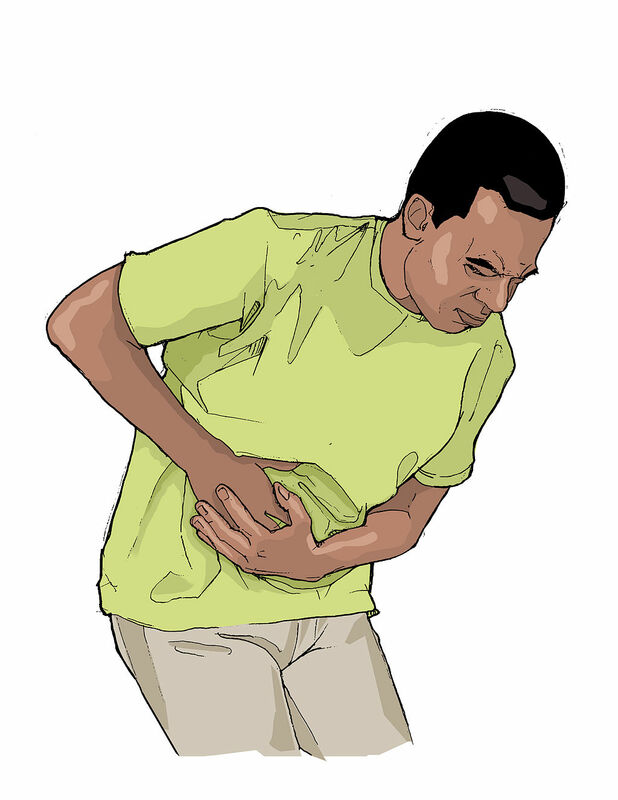 A high level of stomach acid allows the body to digest and break down the food so it can efficiently pass into the intestines and the nutrients can be absorbed, and kills pathogens that we may ingest. So why would low stomach acid burn you might ask? Ideal stomach acid is in the range of 1.5 – 3 on the pH scale, but even a “low” level of stomach acid will still burn tissues if allowed to “leak” into the esophagus. The problem is that when the acid pH level is low, the contents of the stomach to not get digested and sit in the stomach longer that they should. Thus the proteins get putrefied, the fats go rancid and the carbohydrates ferment creating gas and bloating which puts pressure on the valve between the esophagus and the stomach cause it to open and allowing the acid to “reflux” into the esophagus. As we age our stomach acid naturally decreases so making sure you are in the proper acidic range is important. Betaine HCl – this is a hydrochloric acid capsule that also contains digestive enzymes. This works for many, but again, I recommend working with a professional on this. If you have had GERD or other problems for years, it may be best to help soothe the area that is irritated first, as increasing the stomach acid before healing the irritated area may cause more severe pain. Again there are a several different ways to soothe an irritated esophagus and the area around the valve between the esophagus and stomach, and a nutrition professional can help you with that. To highlight one option, drink up to ½ cup Aloe Vera juice before meals or whenever you start to feel pain. This can have a laxative effect so monitor your use and adjust as needed. While this information may go against what you have been told in the past… if you’ve tried the antacids and they are not working for you, consider this information and look to INCREASE your stomach acid levels. Much of nutrition is trial and error as there is no perfect diet or one size fits all solution. I encourage you to try the recommendations in this article (seek professional advice if you are taking medications or under a physician’s care), and you might find that more stomach acid might be your ultimate relief!